Why are mens suits better than off the peg? 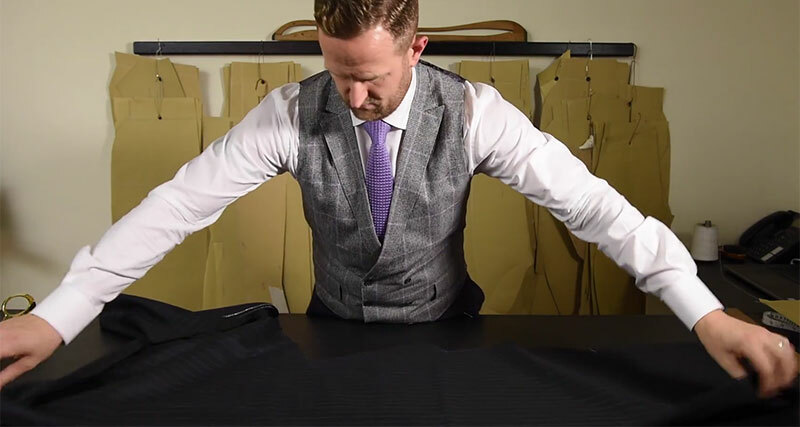 Men's made to measure suits are vastly superior to off the peg suits, simply because they fit so much better and typically use better fabrics. If you want to look your very best, investing in a made to measure suit or shirt is key to enhancing your look, whether you wear suits for work, socially or both. These days, it's possible to order made to measure suits online where you measure yourself at home and then upload your measurements. This is never quite the same as a tailor measurement, as we know exactly where to position the tape and have much more experience. A better way is to visit us, or we visit you, where you can choose from a range of fabrics, colours and cuts. We have plenty of choice and this allows us to create a suit which fits beautifully, whether slim fit, typical fit or a relaxed fit is preferred. Suits may be chosen in shades which flatter the natural skin colour, from fabrics which are perfect for the UK climate and lifestyle. It's about getting the best elements of a bespoke experience, along with the ease and convenience of measurement. With off the peg suits, fit may not be precise. You'll be accessing a cookie-cutter suit in your size, which may not hang as it should. Of course, you can take it to a tailor for adjustments. However, even this type of post-purchase tailoring may not result in a made to measure fit. It's smarter to get a suit made to your measurements than to try and make one fit well after you purchase it off the rack, or online.